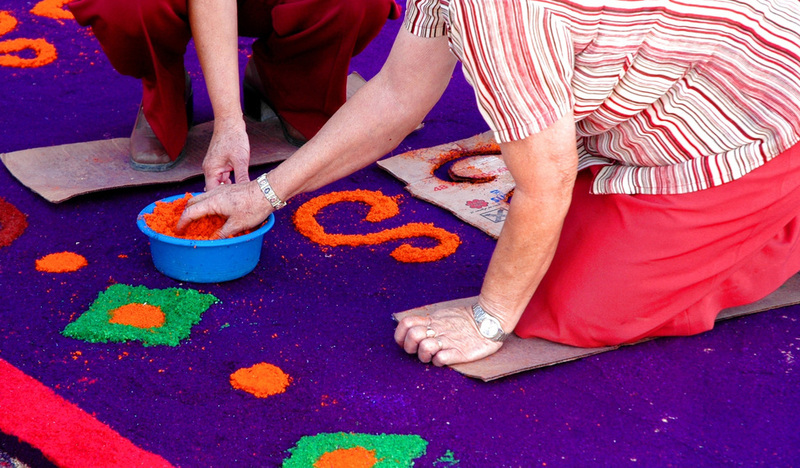 In the Corpus Christi festival, Hellín covers the streets along which the Custodia will go with sawdust carpets made by the Brotherhoods and different groups from Hellín, filling the municipality with a multicolor and spectacular blanket, which will be destroyed when the Corpus Christi procession passes through them. In addition to the floor decor, altars, sunshades, balconies, flower arrangements and carpets made out of aromatic plants decorate the route. 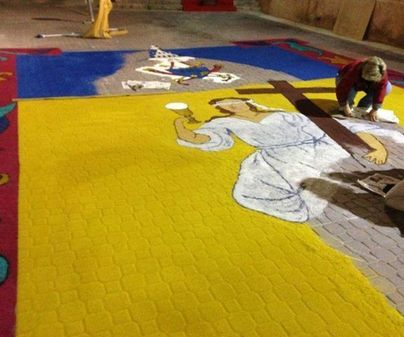 On the Saturday night before Corpus, the visitor can enjoy watching how they make these sawdust carpets. Year after year, the Corpus procession is escorted by children who have taken their first communion. 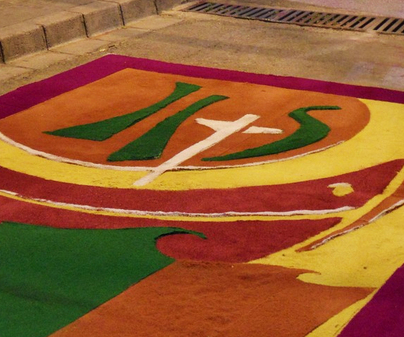 In order to follow the itinerary prior the procession and enjoy the carpets, start at the church square and then continue on Juan Martínez Parras, Tesifonte Gallego, Águila, Benito Toboso, El Rabal, Cuesta de los Caños streets, Monjas square, and Salvador streets, which brings us back to the church square. 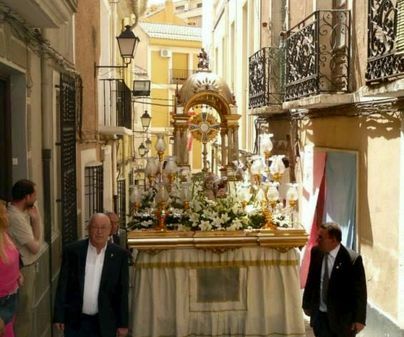 This is the route for the Hellín Corpus procession.